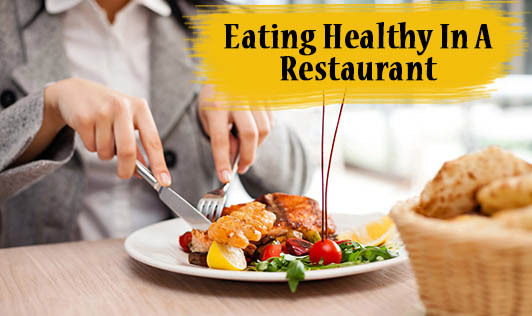 Last saturday, I lunched at a restaurant called Healthy Affair, in Bangalore. The friendly owner of this neat and clean place told us that they serve dishes that are low fat, they use unrefined grains in some dishes, and do not use any artificial colors or flavors. I tried an interesting soup with green apple and carrot. I liked their veg pasta - there were lots of vegetables in the dish, pasta was whole wheat and the sauce was low fat. Choose clear soups instead of cream soups (unless the sauce is low fat). Select salads with low fat dressing or ask for dressing on the side. Go for whole grains like brown rice, brown pasta, whole wheat roti or whole wheat bread preparations. Make sure the accompaniments are low in fat and salt. Steamed dishes make better choices than fried ones. Finish off your meal with a fruity dessert, if you wish.